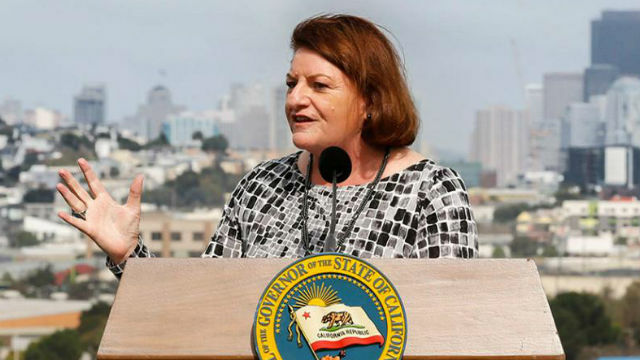 In a ceremony in the state Capitol Wednesday, San Diego’s state Sen. Toni Atkins was sworn in as the 48th President pro Tempore of the California Senate. Atkins is the first woman and the first open member of the LGBTQ community to lead the California Senate. She’s also the first person to serve as both Speaker of the Assembly and President pro Tem of the Senate in 146 years. After a unanimous vote of her colleagues, Atkins was sworn in by California Supreme Court Justice Tani G. Cantil-Sakauye. Atkins succeeds Sen. Kevin de León, who is running for Governor. She praised de León’s commitment to expanding opportunity for all Californians. Atkins issued a rebuke of conservatives who focus on the past and criticize California for its innovation. Atkins represents the 39th Senate District, which includes most of the city of San Diego, as well as the cities of Coronado, Del Mar and Solana Beach. Atkins served on the San Diego City Council before she was elected to the Assembly in 2010, where she served as speaker. She was elected to the Senate in 2016. The title of “Californian” means “more today than ever before,” Atkins said in a speech following her swearing-in ceremony. She lauded the state’s progress on wages, human rights and school and infrastructure investments. The lawmaker, who grew up in poverty in rural Virginia, said her aim is to ensure the economic benefits of the thriving innovation and entertainment industries are not limited only to a select few. Atkins said she is committed to helping lead change in Sacramento. Recent sexual misconduct allegations made against lawmakers cannot be undone and progress cannot be made just because a woman is now leading the Senate, she said. Prior to her election, Atkins got a warm reception from the other side of the aisle. Minority Leader Patricia Bates, R-Laguna Niguel, said Atkins would be a “leader in a partnership” between Republicans and Democrats.